Max Kay as he chats about his life and career. Tickets $15 includes afternoon tea. Max Kay started his career as lead vocalist in a rock and roll band. He then went on to become Andy Stewart’s personal manager and collaborated with him to write music and lyrics and produce shows, which toured all over the world. Max arrived in Perth from Scotland in 1967, and soon became one of Western Australia’s most sought after performers, supporting and performing with many top names in the entertainment industry, including Rolf Harris, Warren Mitchell, The Platters, Kamahl and many more too numerous to mention. Max was also a regular television performer and popular talent quest judge. In 1976, Max opened the Civic Theatre Restaurant where he wrote, produced and performed in his own shows. The “Five past Nine” shows as they were called, incorporated a unique blend of singing, dancing and sketch comedy (which gave birth to some favourite characters, including the World War II Japanese Officer “Colonel Itchy Knackers” “Rhamet Upya” the Pakistani Immigrant, “Luigi Savadamoni”, and many others). The Civic Theatre was a successful Perth icon, for 25 years, playing to over 1.5 million people, and employing up to 100 people during the busy seasons including stage performers, stage technicians, administration and sales staff and food and beverage staff. In January 2001 Max closed the Civic in order to pursue other goals including touring his successful “Five Past Nine” shows around Australia and running for council. 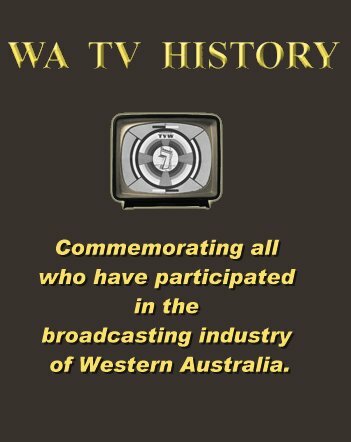 In 2001, Max’s contribution to the entertainment industry in Western Australia was recognised when he received the Citizen of the Year Award in the Arts, Culture and Entertainment category. In 2003 earned his highest accolade when he received the Order of Australia. In this same year he was also one of the 1,300 West Australian’s to receive the Prime Minister’s Centenary Medal. As an accomplished character comedian, scriptwriter, singer, songwriter and musician and entrepreneur Max Kay is truly one of Australia’s most professional and versatile performers. Dear Max. The last time I heard you was on local radio. You were troubled with a cough.A simalar to the cough my sister inlaw has had for 2 years .I hope for your sake you are cough free,and if you are you may be able to pass on what was the cause and the cure . ( If any).My brother and his wife have been to all the specialists.I realise you are a comedian on not midical advisor, and I would understand if you can,t assist.You never know your cure ( if any) could help.